I take classes from Kit and Clowder to learn different techniques to use with my copics markers and colored pencils. It’s also great practice and Alyce is an amazing instructor! There may be a lot of people in the group but she will sit and look at each project/picture to leave some love and she’s always there for feedback. She goes very in depth on the instructions – they are worth every single penny! You can always visit the Kit and Clowder facebook group if you want to stalk it out a little first. Don’t be shy! I gave my mom my picture from the November class as a Christmas present and now she wants a collection haha … so this one is for her. Who can say no to their mom right? Image is from Stamp Anniething exclusive to Kit and Clowder class but check out her stamps – they are adorable! I printed mine pretty big – on an 8 1/2″ x 11″ sheet of Papertrey Ink White Cardstock and then once I finished coloring I trimmed it down and matted it to a black piece of American Crafts cardstock so I can put it in a frame. There are a lot of colors here so I’m just going to list the basics. I changed my dress color to something other than what the class was using because I didn’t have all the colors. I learn so much from these classes! I hope you enjoy my finished project! 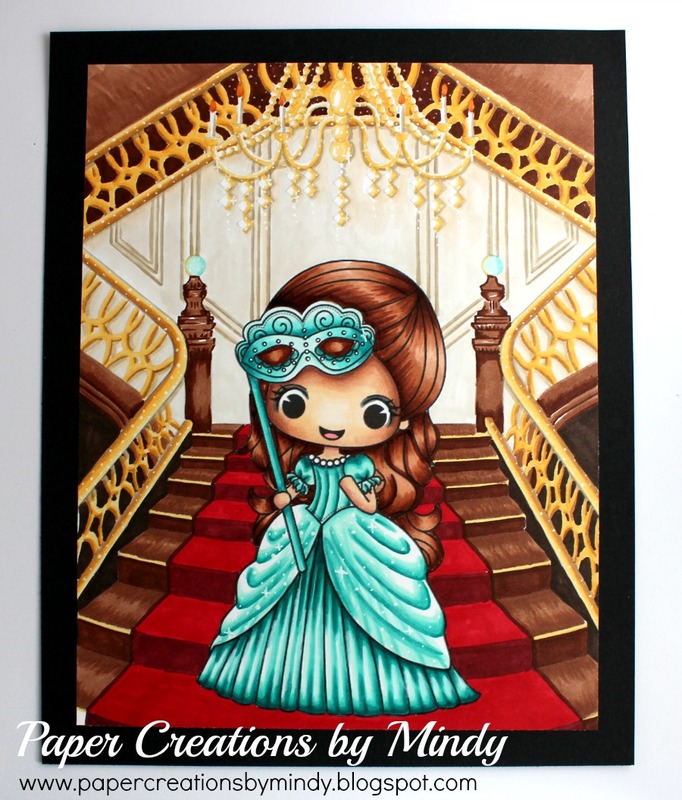 January Stamp Release Blog Hog Guest Designing!